Here’s my performance of Roy Smeck’s Magic Ukulele Waltz. This is one of my favorite songs to play. 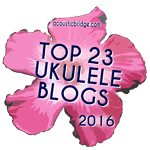 Tabs can be downloaded from Ukulele Dav.